Gloria Ethier, D.O., has joined Saratoga Family Practice in Saratoga Springs, New York, a practice of St. Peter’s Health Partners Medical Associates. Board-certified in osteopathic family medicine, Ethier will practice family medicine. Ethier received her medical degree from the New York Institute of Technology (NYIT) College of Osteopathic Medicine in Old Westbury, New York. She completed her residency at Plainview Hospital, a member of the North Shore-LIJ Health System in Plainview, New York. 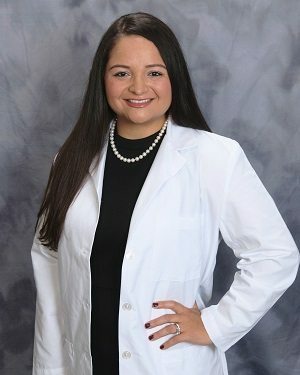 A graduate of Siena College in Loudonville, New York, Ethier received her master’s degree in neuromusculoskeletal sciences from NYIT College of Osteopathic Medicine. Saratoga Family Practice is accepting new patients at 15 Maple Dell in Saratoga Springs. For more information, or to make an appointment with Ethier, please call 518-583-7400.